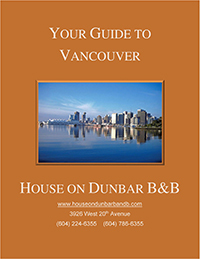 If you have a sweet tooth, look no further than the many shops and boutiques on Dunbar and in Kitsilano to satisfy it. From authentic ice cream to carefully crafted cakes, from patisseries to delicate chocolates, our neighbourhood has everything to please even the most difficult connoisseurs. Here are our favourite places to hit that sweet spot! True Confections (3701 Broadway) is an award-winning bakery that is consistently chosen as the best dessert in Vancouver. They have gluten-free cakes, an ice cream bar, and even a coffee drink, cocktail or glass of BC wine to go with your favourite treat. A popular spot for foodies, Salt Tasting Room (2585 W Broadway) serves amazing desserts along with a selection of cheeses, meats and condiments, all paired with a fantastic selection of wines. This is truly an experience to relish! If you like your frozen treats on the lighter side, try Scoop! (2050 West 4th Ave) for frozen yogourt. Choose your yogourt, add your topings (more than 30 to choose from) and enjoy! Scoop! also offers baked goods, smoothies and coffee. For everything chocolate, visit CocoaNymph (3739 West 10th Ave). Handcrafted chocolates, chocolate bars, toffees and other confections (which you can pair with wine or beer) and chocolate drinks will satisfy the most difficult chocolate lovers! 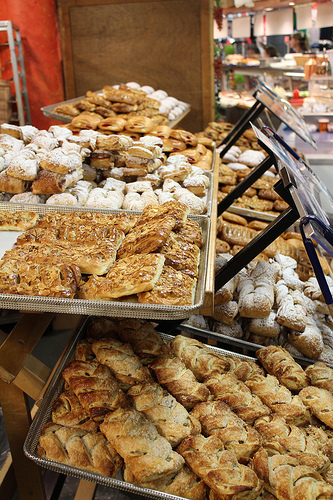 If you enjoy traditional French patisseries, try the Café Régalade (2836 West 4th Ave). After a delicious bistro lunch or dinner, try one of the handmade desserts along with a glass of wine. Vancouver is famous for its amazing variety of restaurants, bistros and pubs—but don’t forget the dessert during your visit to Vancouver!